The bass guitar is underrated! Some people view bassists as failed or wannabe guitar players who simply don’t have what it takes to succeed on a six-string. Everyone knows bass is much easier, since it only has four strings. Right? As a bass guitarist you still get to be in a band without trying very hard, and without having to work on your skills or spend much time practicing. If you are a bassist who cares about your craft these are fighting words. It’s infuriating when people don’t understand or respect the dedication it takes to get good at bass. Like anything else, if you want to excel you put in the time. It’s a sad fact that the bass guitar is underrated in rock music. Fortunately, it usually isn’t our fellow musicians who are spewing the nonsense. They know how important the bass is, and they know how hard it is to find a good bassist. The disrespect toward this noble instrument, like most controversy in the world, primarily comes from people who don’t fully understand what they are talking about. While they should really know better, in some ways it’s easy to see why they are so misguided. I write this post after reading some fairly negative remarks about the importance of the bass guitar. I was kind of upset, but I also had to ask myself why people feel this way. I realized there might be some logical, if frustrating, reasons. 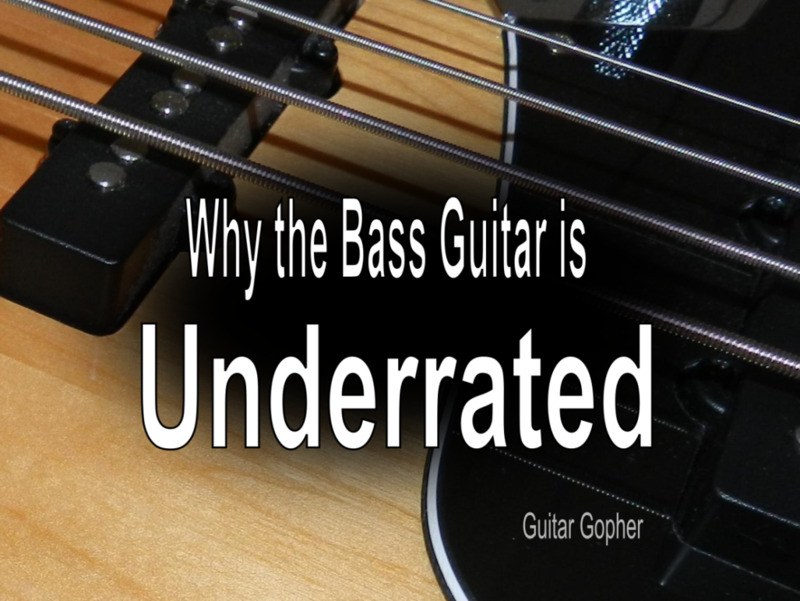 In this article I'll cover the reasons I think the bass is underrated in the eyes of many. If you are a bassist, hopefully this will help you deal with the haters without resorting to physical violence. If you are among those who don’t quite get why bass is so important, you just might learn something. Is the Bass Guitar Important in a Rock Band? It is the most important instrument in a rock band. It is equally as important as any other instrument. It is important, but not a much as guitar or drums. Most bands can get by without a bassist, but it is a nice addition. There is no good reason for the bass guitar in rock music. Many bassists fall in love with the instrument without ever touching a guitar. However, I think one of the reasons people disrespect the bass is because so many bassists do start out on guitar. They switch because the bass is easier, right? The truth is it depends on how you approach the instrument. Each individual who switches from guitar to bass has their reasons for doing so, and it is true that some do it because it seems easier. 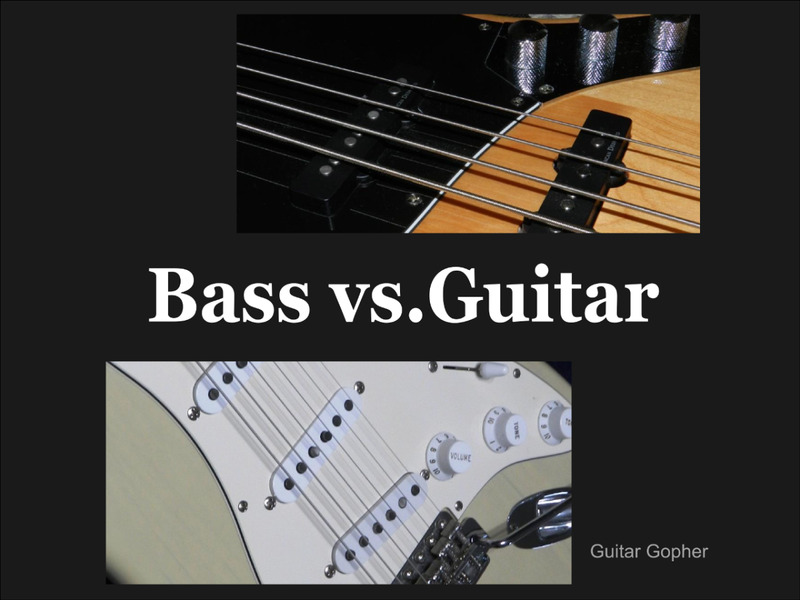 However, there are many other reasons a guitar player might switch to bass. Some are drawn to the sound, and some because they are interested in a style of music where the bass is prominent. Still others choose to learn bass to expand their repertoire as musicians, and increase their chances of finding a gig. In fact, many great bassists in the '50s and '60s were excellent guitar players, but switched to take advantage of opportunities. Remember that the first Fender bass guitars were more similar to electric guitars than they were upright basses. That was my path to the bass as well, sort of. I was a guitarist in a band with a drummer, vocalist and another guitar player, and I didn’t feel like going through the hassle of looking for a bassist. So, even though I was much better than our other guitarist, I made the switch. 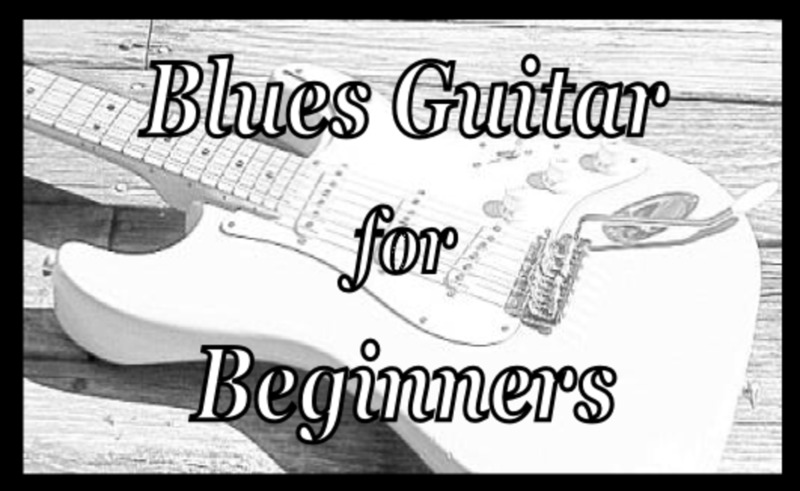 It was fun to learn a new instrument, but in the beginning everything I played was very basic. I played root notes, I played with a pick, and the songs I wrote sounded like they were written by a guitarist playing a bass – because they were. There is nothing wrong with any of that, as long as you have other tricks in your bag. If you don’t, or if you aren’t willing to expand your horizons, you tend to stagnate as a musician. Some bassists start out as guitar players but learn bass to take advantage of more opportunities for work. As I learned more about the bass my style changed quite a bit, and I began explore the capabilities of the instrument. I came to understand how to work with the drummer and rhythm guitarist, and how much a well-written bass line can improve an already decent song. Unfortunately, I think some former-guitarists-turned-bassist never get to that stage. If you consider all the bassists in the world those players are probably in the minority, but in rock music it seems to happen quite often. These musicians become hangers-on to their band rather than contributing members. They are weak links, and playing bass in this manner is, in fact, much easier than playing guitar. So, is it any wonder so many people who don’t know any better look down on bass? Good bassists aren’t hangers-on. They are contributing members of their bands who help with the writing process and spend time on their own getting better at their instrument. They write lines that make the music deeper and more vibrant, all while keeping with their role as part of the rhythm section. 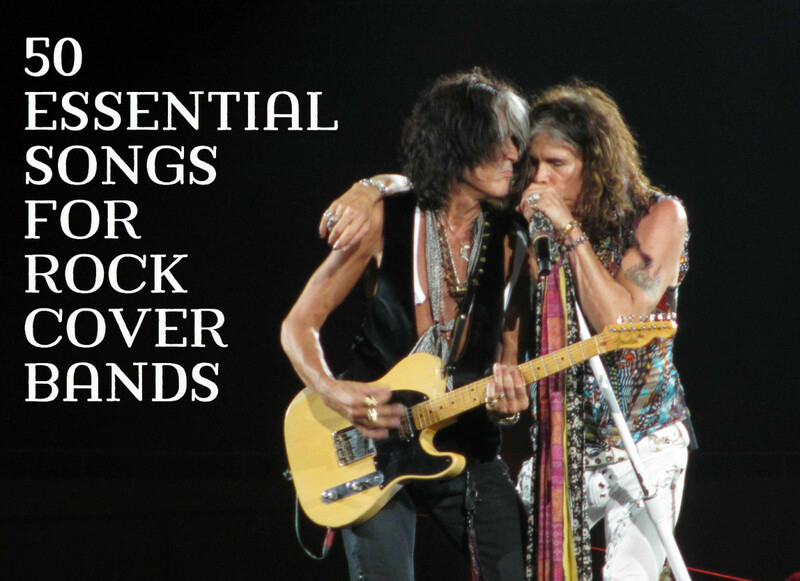 They are true musicians, and every bit as important as the guitarists in the band. Along with the drummer, the bassist forms the backbone of the music, whether this means a funky groove, a 12-bar walking bass line, or the pounding low-end of a metal song. Some bassists become hangers on to their band rather than contributing members. I think it takes a certain personality to play bass in rock music. In most forms of rock the guitarist gets the spotlight. He gets to play solos, have video games named after him and write the riffs people remember for a lifetime. While the role of the bassist is no less important, he rarely gets the glory. Sure, you can name a handful of prominent rock bassists in the public eye, but I bet you can name many more guitar players. Even those who are famous aren't fully appreciated. 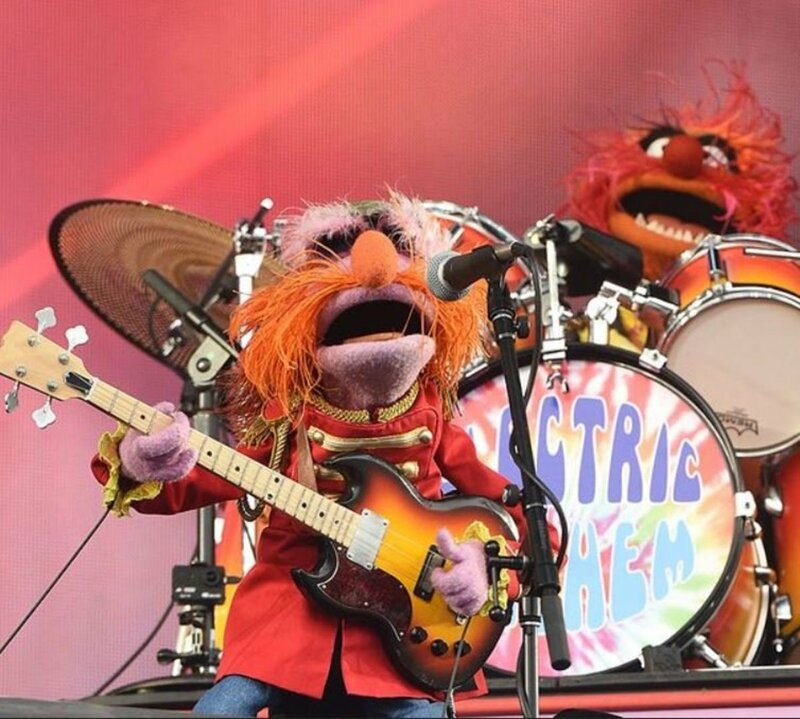 Most people know Paul McCartney was in the Beatles, but many don't realize he was the bassist. It’s like playing offensive line in football. Everyone wants to run with the ball and score touchdowns, but someone has to block. Just as football is a team game, a band is a team atmosphere where every musician has an important role to play. Our modern culture looks for excitement, and makes it up if it has to. Those who do the hardest and most important work often go unnoticed in every aspect of society, and the public often doesn’t know the whole story. People who don’t understand music hear a lot of loud guitars in rock music, and they don’t realize how much the bass matters. 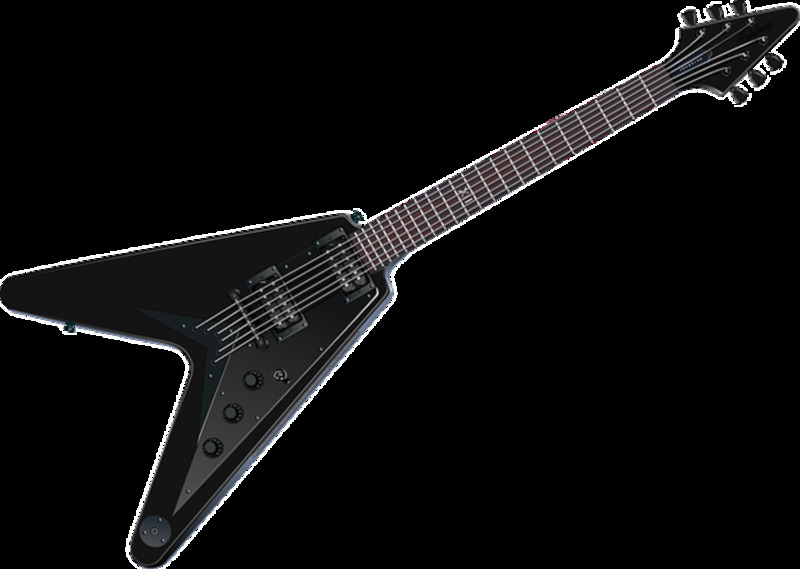 The popularity of seven-string and detuned guitars in metal doesn’t help. Now, guitars are tuned so low everything often turns to mush in the mix. A band is a team atmosphere where every musician has an important role to play. Can Everyone Hear the Bass? I can pick out the guitar and bass in every song I hear, and I bet you can too. But would it surprise you to know that some people have no idea of the difference between them, and can’t sort through the music well enough to pick them out? My wife is one of those people. She's an intelligent person, and she likes to listen to music, but she has absolutely no idea how songs are put together. She has lived with me long enough to know what a bass sounds like, but within the mix of a song she can’t pick it out. I thought it was a matter of interest, but after many conversations I’ve come to realize that’s not the case. As hard as she tries, she literally can’t pick it out of the mix. Or, more accurately, she isn't sure if what she hears is a bass, a guitar, or something else. It seems crazy to me, but I've been at this music thing for over thirty years. If someone doesn't have an aptitude for music, and does nothing to cultivate what little potential they do have, I guess it makes sense. I wonder how many other people are in the same situation. We all have different natural gifts. Is it possible that many people just don’t have the musical aptitude to understand what the bass is doing in a song, and that’s why they don’t see how important it is? This might also go a long way toward explaining why the mainstream public is interested in so much awful music! It is possible that many people don’t have the musical aptitude to understand what the bass is doing, and that’s why they don’t see how important it is. Without the bass guitar, songs in every genre sound weak and empty, detuned guitars or not. It adds depth to guitar riffs, and helps the drummer establish the rhythm of the song. There is a reason there are so few bands without bassists: It is important to the overall sound of the band! If you are low-ender, hold you head high. Your work is important, and your fellow musicians know how much you mean to the band. Keep on practicing your craft and getting better. If you are thinking of learning to play bass, I hope this article helped to squash any worries about being looked down on by your peers. Believe me when I tell you, every band appreciates a good, reliable bassist. They aren’t easy to come by, and if you can turn yourself into one you very well may have a career in music. 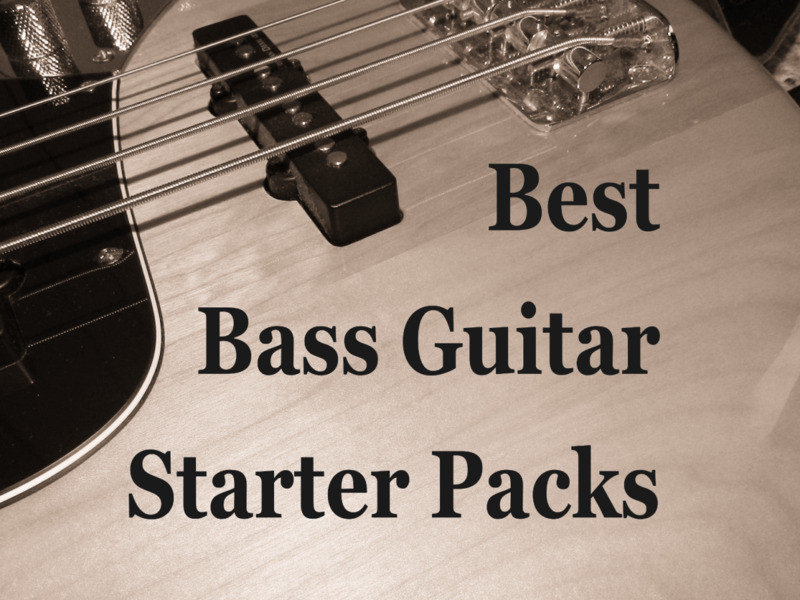 Finally, if you are a non-musician who still doesn't understand why the bass is so important, I invite you crank up some of your favorite songs and imagine how they would sound without the bass. I think you’ll see the error of your ways soon enough. Why Is the Bass Guitar So Underrated? Which issue does the most damage? Many bassists are former guitarists. Many rock bassist don't contribute enough to their band. People don't appreciate the role of the bass. Non-musicians can't or don't hear the bass properly. Four is less than six, so it must be easier. I believe the great pity today is the fact that most everyone listens to their music through their cell phone. A few listen through earphones but most do not. Fewer still also listen through a good set of headphones. Just how good are those cell phone speakers? I bet the speakers installed inside our cell phones doesn't even cost more than 5 to 10.00 each. Thus the bass lines as recorded just do not translate at the correct volume to be heard correctly on cheap cell phone speakers. No wonder so little attention is paid to the bass. The listener can't appreciate music tones that are so low in volume compared to the rest of the mix. But if a cell phone music listener were to play the same songs through a high fidelity set of headphones or a home system, they would be astounded at the richness of the bass tones brought forward in the mix. The complexity of rhythm unlocked by the volume added in bass lines will allow the listener to physically feel and react to the music. Complete immersion into the accurately recreated track is essential. There's no stopping the toe tapping, and the listener just has to move. The feet and body just won't stay still. And we would all be much more appreciative of the skill possessed by the bass men we can now hear.